The water of the Ganges River flows in North Bali, or so the name claims. 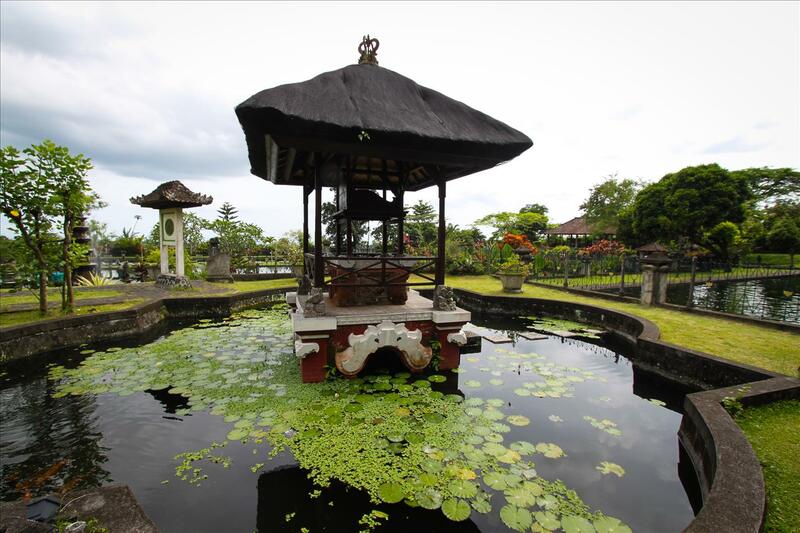 The Hindu Balinese Palace is a maze of pools and fountains for one to navigate in the serene beauty of the gardens. 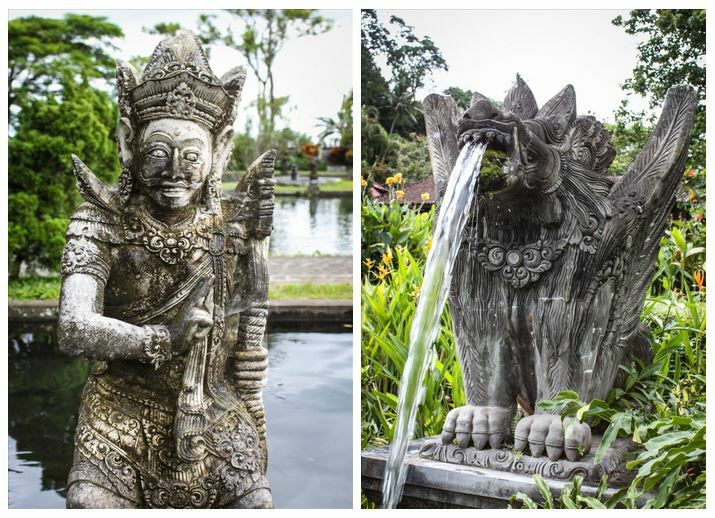 The attraction is to experience the sacred water in a number of amazing ways that highlight the beauty of Balinese Hindu culture and royalty. 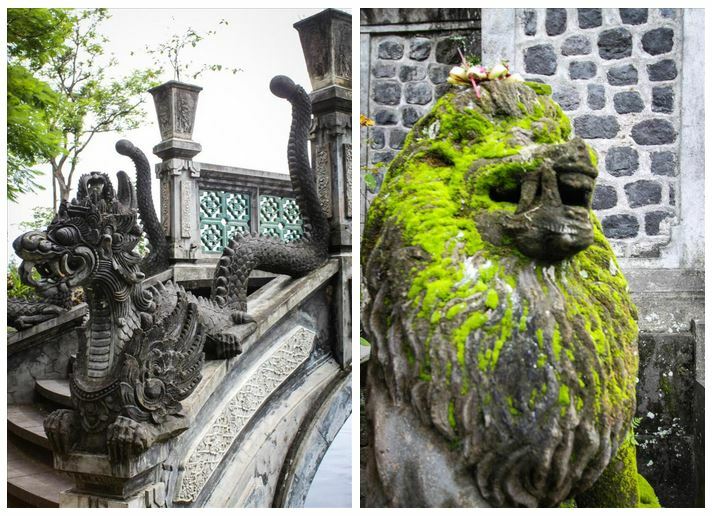 We strolled about the epic gardens gazing at the life-size statues of Hindu deities and demons. 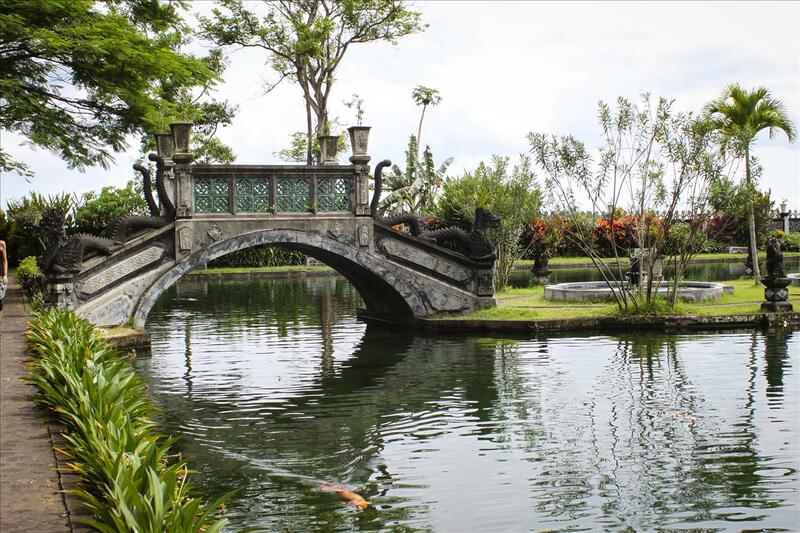 Walking across a maze of stepping stones on the water, we gazed at Monet worthy ponds of green lilies and lotus buds, and watched the school of koi migrate the grounds of their palatial home. Since the Raja of the palace left and opened it to the public, they are the most permanent inhabitants of the palace…funny, I never thought I’d be jealous of a fish. The palace was as perfect as a fantasy video game level where you’ve nearly saved the Balinese princess. I half expected the statues to start talking or a fairy to pop up with a “Hey! Listen!” before giving a task to complete in the breathtaking gardens. 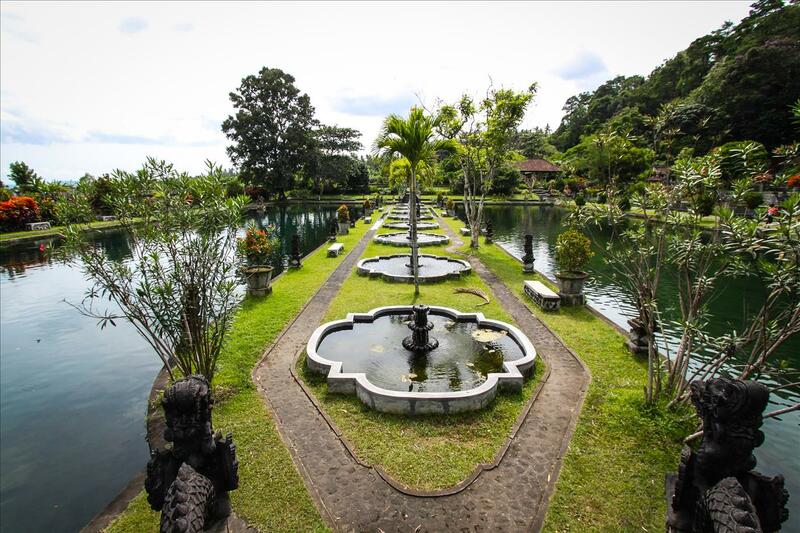 I could have spent hours just sitting at Tirta Gangga water palace, hey, I could have spent years living there- if only I was a koi fish, or a Balinese princess. Love all your posts and pictures! Amazing! Thank you!! 🙂 I really like yours too! !